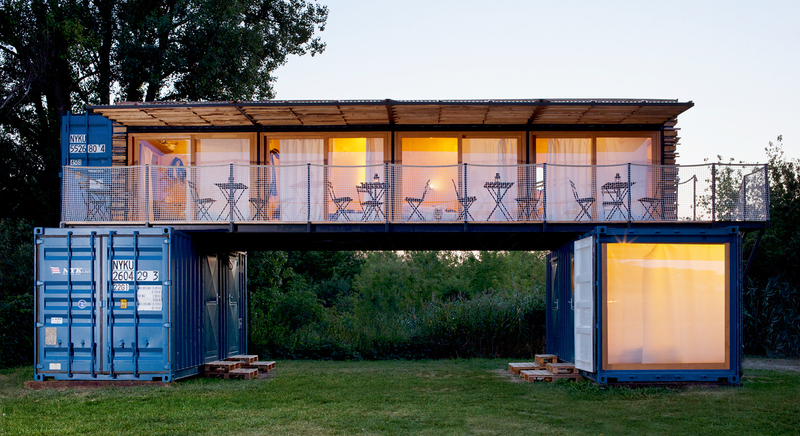 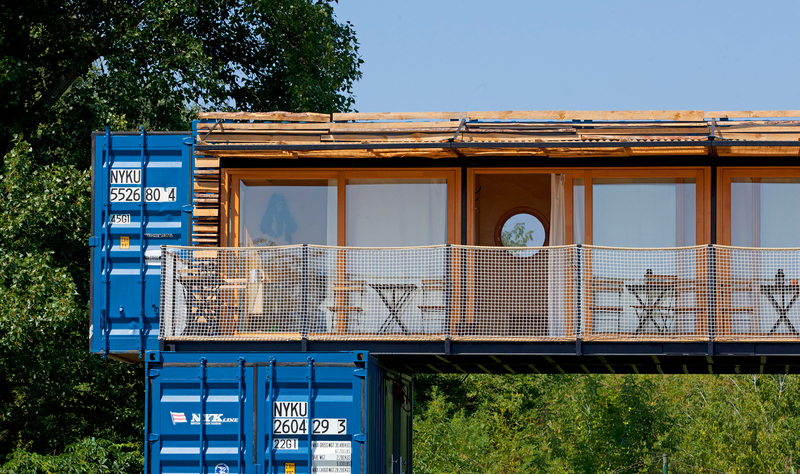 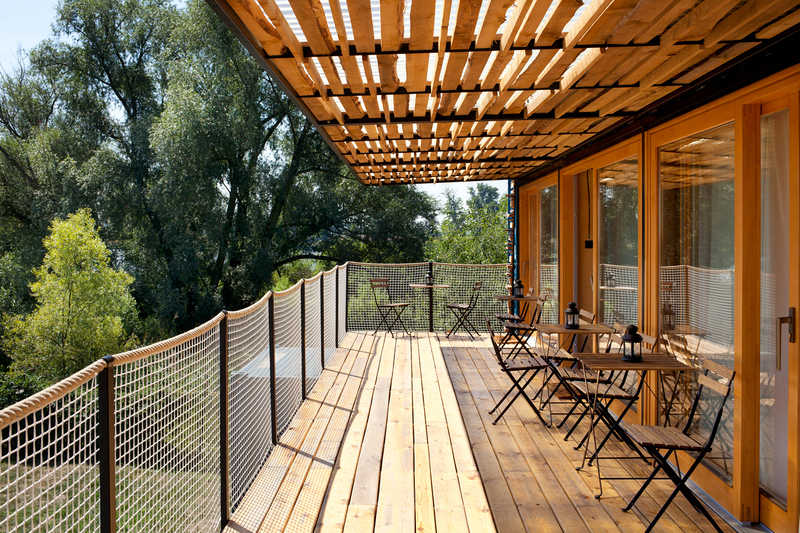 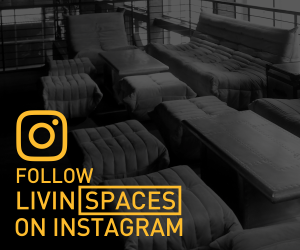 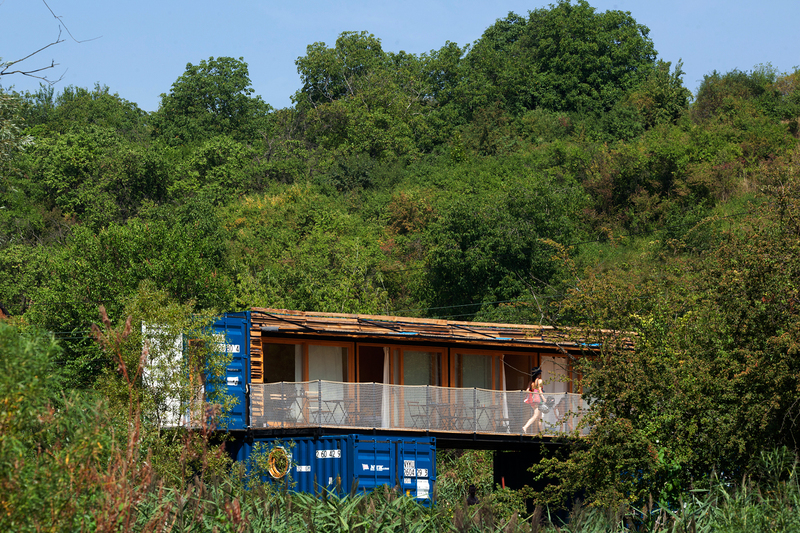 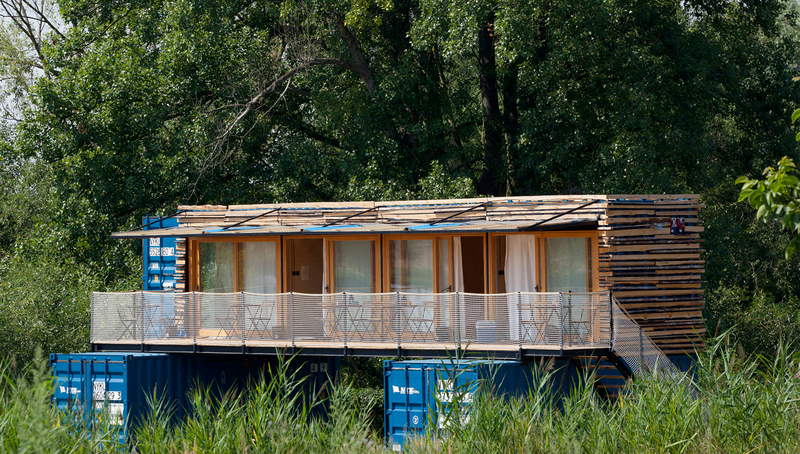 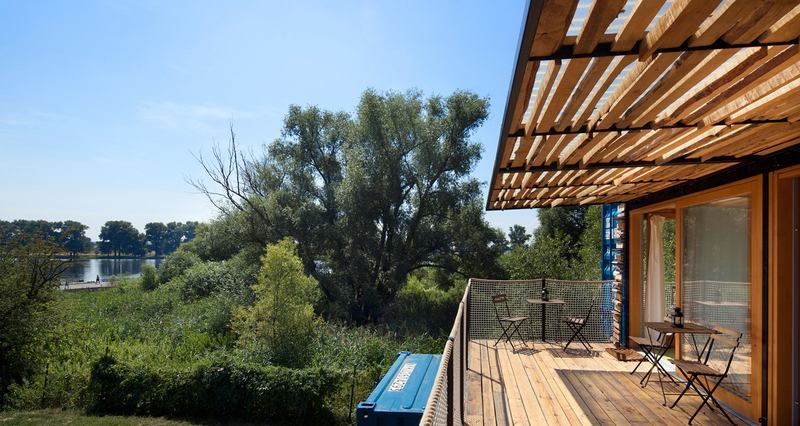 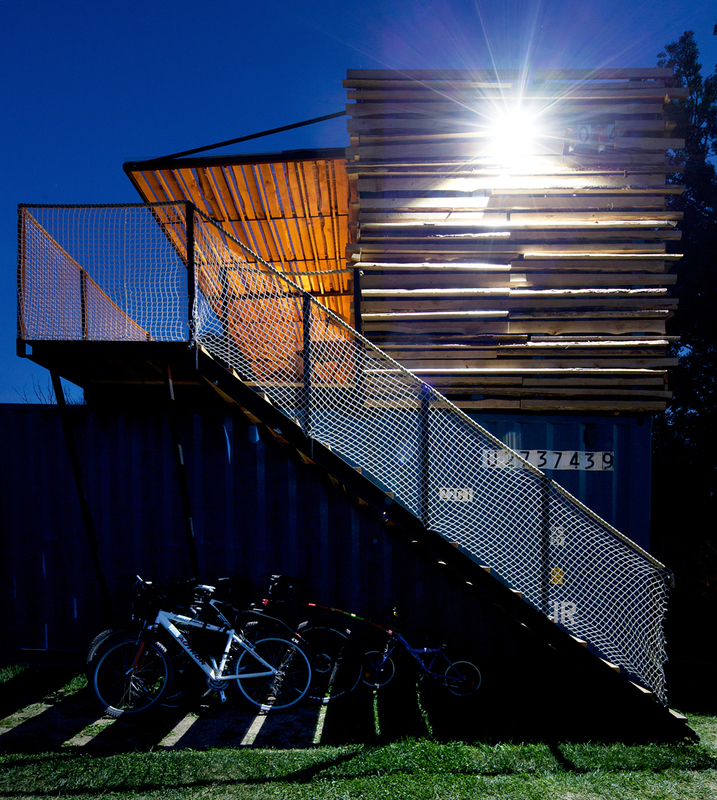 Artikul Architects have designed this small boutique container hotel named ContainHotel, in Treboutice, Czech Republic which is designed to be mobile and seasonal. 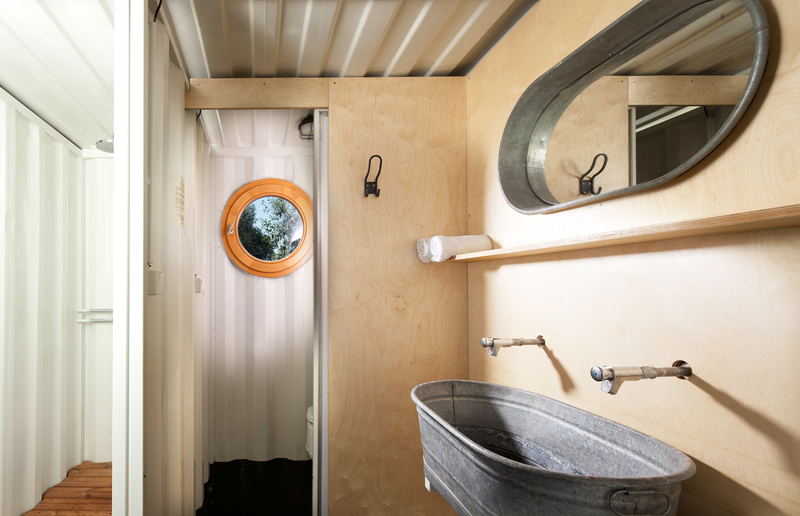 For the courageous investor we designed a small mobile hotel from the used transport containers. 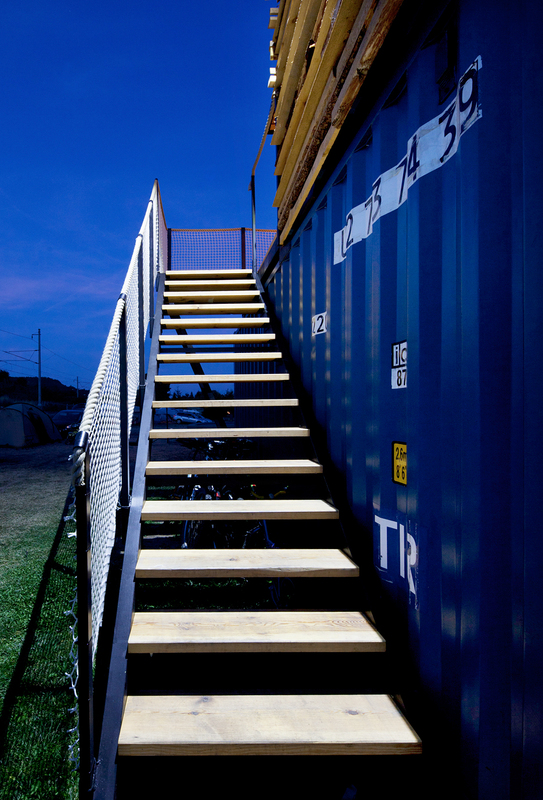 His first placement was at the surfers’ camp between Lab and the busy railway line – we have named it Hotel Trainspotting for the time being. 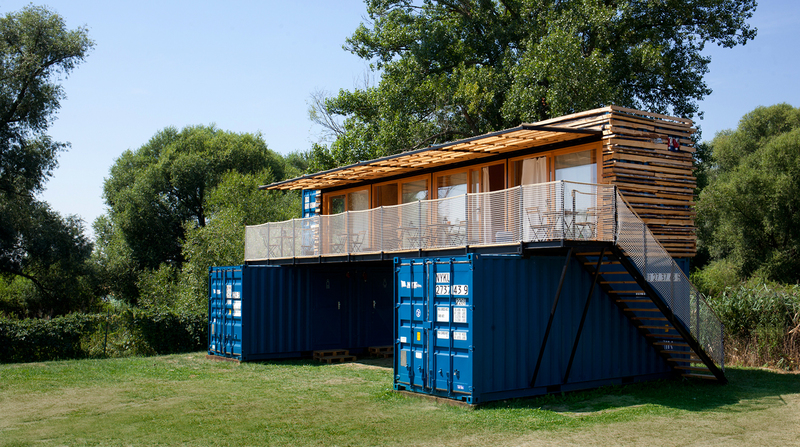 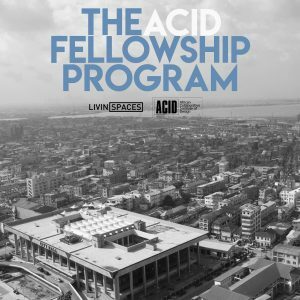 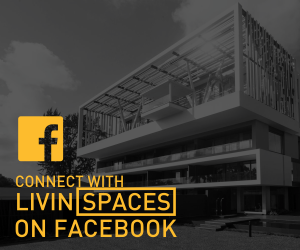 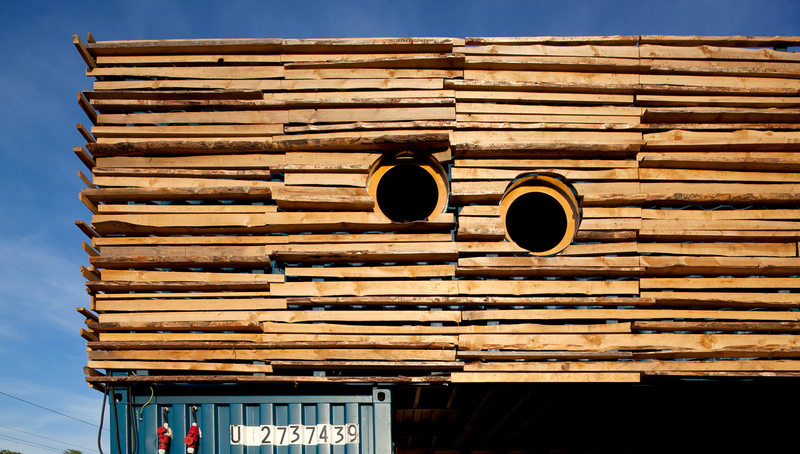 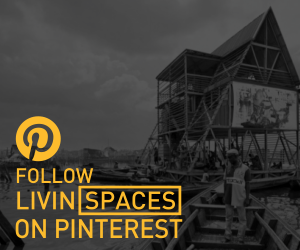 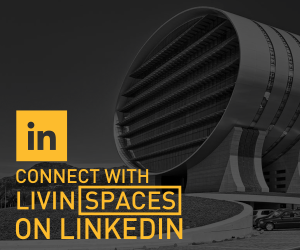 The building consists of two 20-foot containers and a 40-foot tall container transversely located thereon. 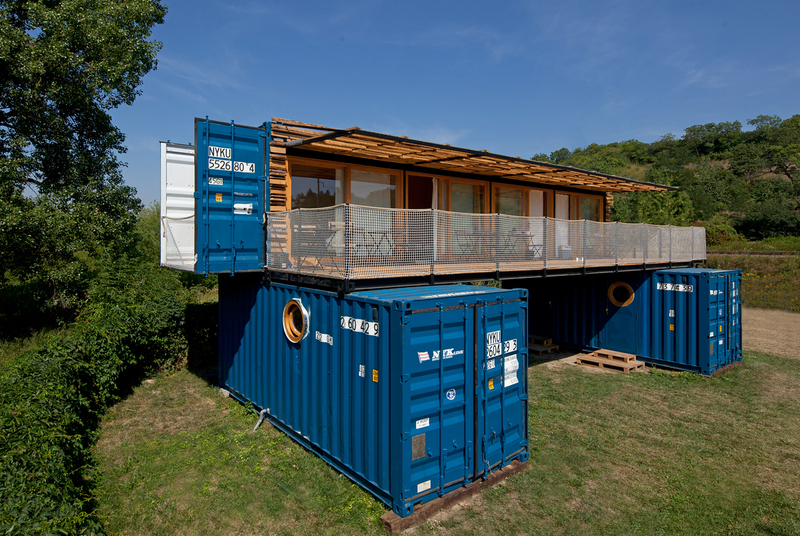 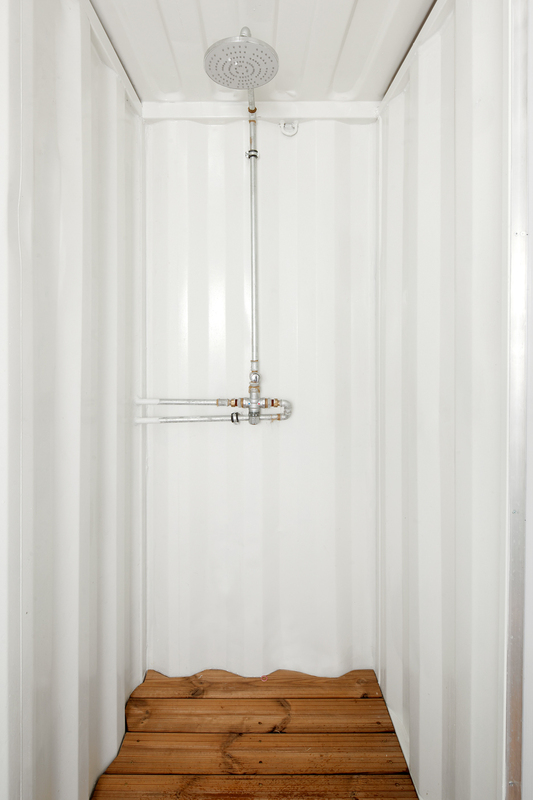 In the lower containers there is a sanitary facility, a technical background, a warehouse and a guest room. 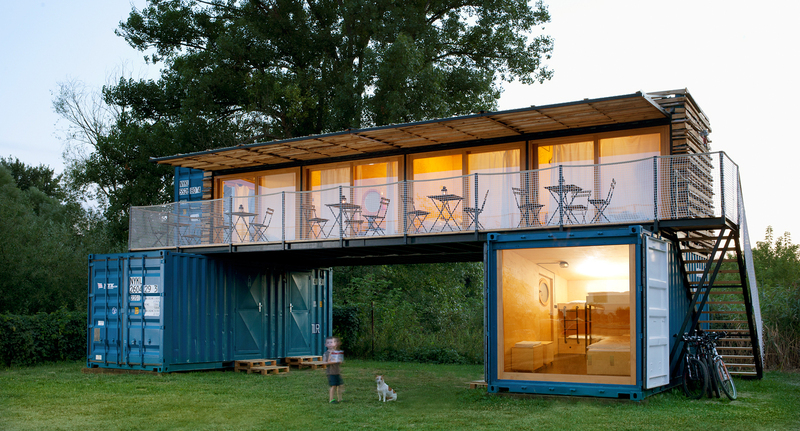 There are four rooms in the upper container with a terrace. 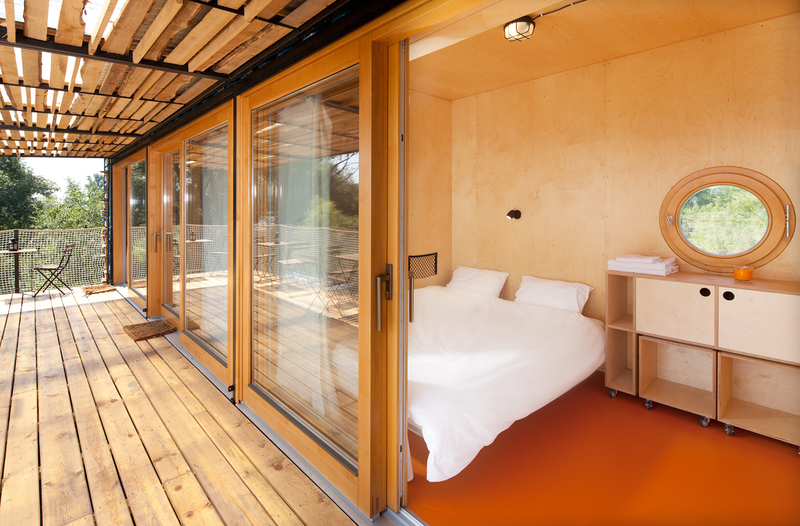 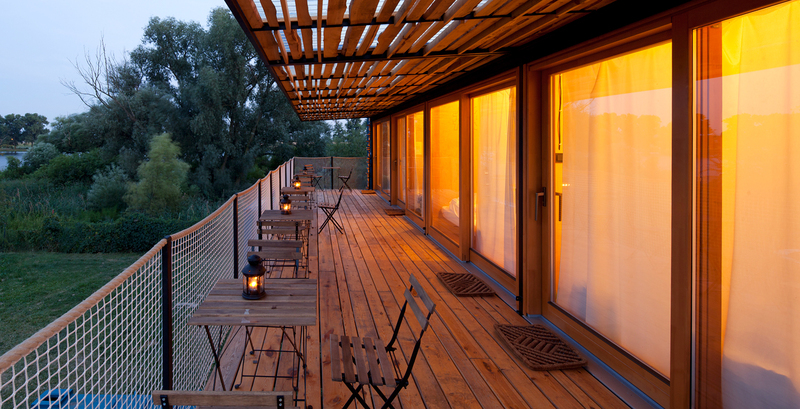 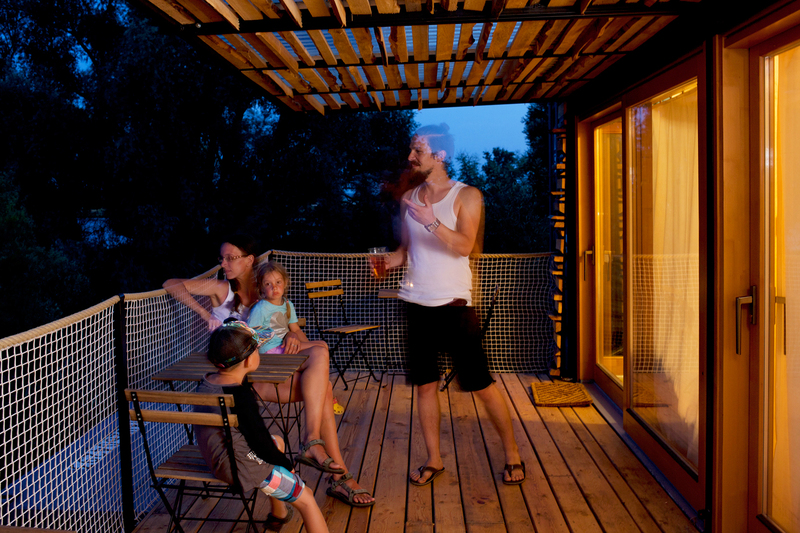 The entire hotel is designed as demountable, maximally self-sufficient and environmentally friendly.